One of the things I didn’t expect when I took on the role of editor for a major Canadian automotive website was that I’d be tempted to go on all of the manufacturer’s drive events myself. They show up in my inbox unassumingly, with little more than model names for subject lines, but inside—invites to go, for free, to exotic locales and drive new, (sometimes) exciting cars. There are a few things that keep me from turning into a perma-jetsetter: if I took half the trips I got invites for, I wouldn’t have time for my other editorial duties, for one. Second, I’m actually generally not interested in new cars or travel (give me local, classic or Jalop rides any day). 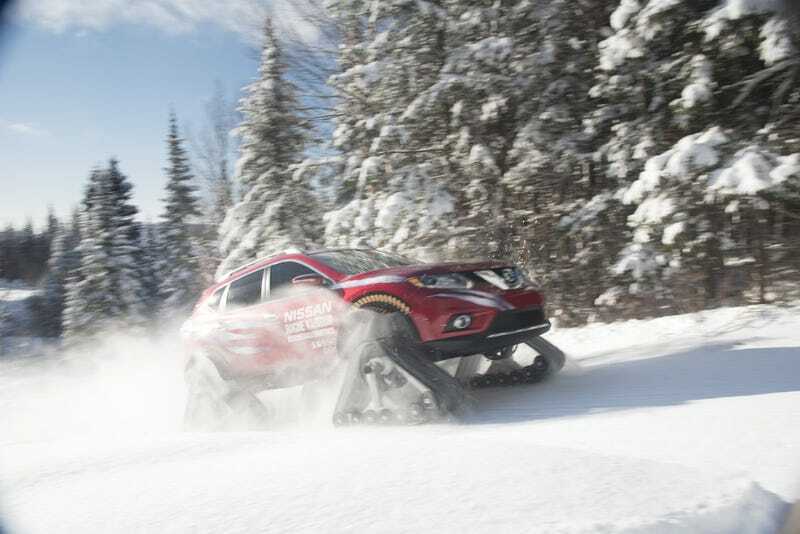 But both of those things aside, I really wanted to go to northern Quebec to drive Nissan’s insane Rogue Warrior snow-conquerer, something I’m sure few other people will ever do. Sure, it’s basically just a Rogue, but I really wanted to find out what something on caterpillar tracks handles like. The event was only two days, so I could surely afford the small break in my work week. Really all the boxes were ticked for me to tell Nissan, Yeah, I’d love to drive your Warrior! —But I didn’t. That’s because the third thing that keeps me from taking all of the invites is that I have a roster of writers who I know could do a better job than I could putting together the story post-event (it helps that most actually do care about modern cars). Autofocus’ Brian Makse – our resident race car driver and Lamborghini connoisseur – immediately sprang to mind when I read the invite, largely because I knew the variety of his driving experience would probably best qualify him for the job. That plus I knew he could put together a sweet video of the Nissan Rogue Warrior in action, something not all of our writers can do. Sometimes you have to think about the story, not the glory, and I knew this one’d best be served by someone like him. What do you guys think? Should I have taken the story myself? Would you have?